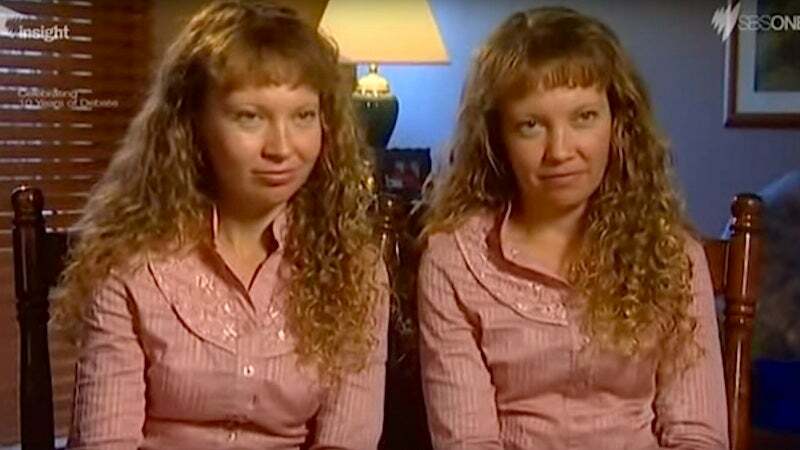 In Shellharbour, south of Wollongong, Australia, there is a pair of twins who speak in unison. The twin sisters named Bridgette and Paula Powers have this remarkable aspect to their personalities that has caught a lot of people’s attention. The twins, who are now 42, have never ever lived away from each other and they hold the opinion that they are not two but one person. The twins were born in Shellharbour and are identical in almost every sense. They share the same thoughts and have the same medical history. They have similar genes and, all these similarities have fascinated as well as intrigued doctors and scientists alike. Interestingly, neither of the two has had a boyfriend. Their mother-Helen, tried to set them on dates but nothing ever materialized. Bridgette and Paula, according to their mother, have decided to never get married as they cannot bear to live away from each other. The twins were born with heart and blood pressure problems, as well as bone deficiencies and they have been subjected to regular medications. Doctors initially had informed Helen that her twins would not survive beyond 30 years of age but they have easily broken that estimate. Many people are of the opinion that the twin sisters are the most annoying people on Earth since they talk simultaneously and try to emulate one another almost every other time. But the residents in and around their area hold the opinion that the twins who speak in unison are one of the most loveliest people they have interacted with. The twins- Bridgette and Paula- wear the same clothes, speak and walk simultaneously and are both vegetarians. Even at 42 years of age, the twins sleep in the same twin bed. They never want to get separated because they feel that they cannot function without each other. Whatever ailment one suffers, the other would acquire that same ailment. The longest that the twins had ever been separated was for three days when Paula was hospitalised for an appendectomy. The doctors refused to remove Bridgette’s appendix even though Helen had informed that the two shared the same ailment. When Paula was on the hospital bed, she sensed a deep distress. She turned sick and her blood pressure soared. This was later found to have happened due to the fact that her twin-Bridgette, was at a bus stop and struggled with three men who tried to abduct her by pulling her into their car. Bridgette’s distress was directly sensed by Paula. A week later, as expected by their mother, Bridgette was admitted to the hospital in order to get her appendix removed. Both wake up at 6.15am. Both eat the same breakfast. Both work at the refuge until about 5pm and eat the same dinner. Both have-Bondi Vet- as their favorite TV show. Steve Irwin had hired the sisters to work at his Australian zoo after seeing them during their wildlife rescue on the Sunshine Coast. Bridgette was born 7 minutes ahead of Paula. 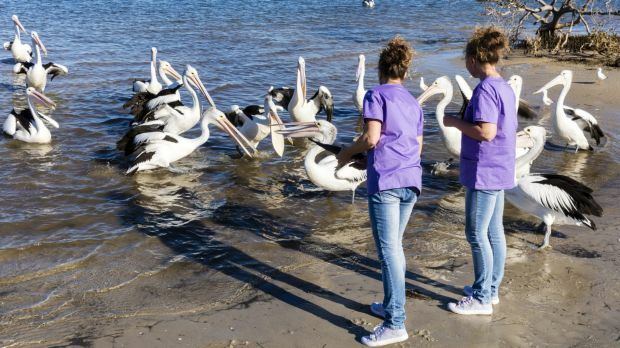 The Twinnies Pelican and Seabird Rescue is the only facility in Southeast Queensland that specializes in Seabirds and is situated on 2147 Steve Irwin Way Landsborough Qld 4550. The twins who speak in unison have been providing this service since the last 12 years. They have a staff/regular volunteers ratio of 1-20 members / staff and they reach to over 1000 people. Until Oct’15, their recovery area comprised of nine juvenile gannets that the twins plan to release on nearby Moreton Island, and a migratory brown skua found near death on a local beach a month earlier. The sisters have impressed the vets with their skills and have successfully saved the lives of thousands of seabirds. Pelicans are their favorites! During the initial days of setting up their refuge, they used a kids’ cubby house as an ICU, and lodge recovering birds in a wardrobe.